In his column What exactly is the Manusmriti?, Devdutt Pattanaik says the Manu mentions China. Which verse(s) is he referring to? 10.44. (Viz.) the Paundrakas, the Chodas, the Dravidas, the Kambogas, the Yavanas, the Sakas, the Paradas, the Pahlavas, the Chinas, the Kiratas, and the Daradas. 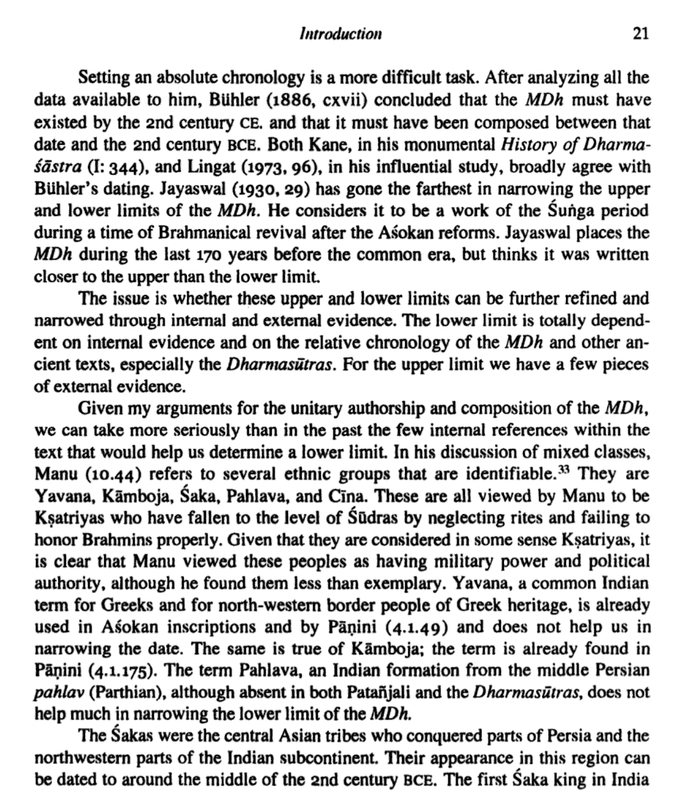 So, according to Manu Smriti, all those tribes, including the China tribe, were originally Kshatriyas, but due to non-performance purificatory and sacred rites, they became VrAtyas and degraded themselves to the status of the Sudras. Not the answer you're looking for? Browse other questions tagged history india manu-smriti .